A teenager has been jailed for four-and-a-half-years for a knife attack in Yardley Wood earlier this year. The 17-year-old from Rubery was handed the prison sentence at Birmingham Crown Court on Friday (22 March) after pleading guilty to stabbing a delivery driver on McDonald’s car park on 27 January. 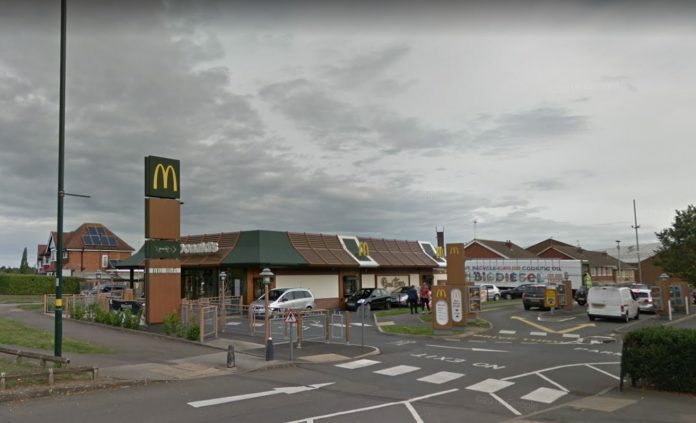 When he tried to run to safety inside the fast food restaurant, the offender pulled out a combat knife and plunged it into his arm. The knife narrowly missed a major blood vessel. Police cordoned off the blood-soaked store for several hours to allow for a forensic investigation to take place. CCTV from inside and outside the restaurant allowed officers to piece together the circumstances of the attack, and identify the 17-year-old as a suspect. However, with the evidence stacked against him, he later pleaded guilty to wounding with intent and possession of Class A drugs and was subsequently jailed.